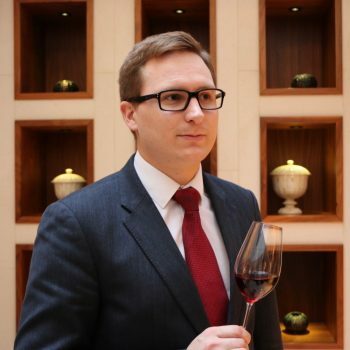 Having earned his stripes at Stovells in Surrey and Thackerays in Tunbridge Wells, Gonzalo Rodriguez Diaz is today head sommelier at Seven Park Place in St James’s, overseeing a list rich in Burgundy. Here, he reveals why he isn’t a fan of natural wines, how a bottle of Château Lafleur 1982 left him speechless and his where he plants his own vines. What’s your go-to drink at the end of a long day? It depends how the day went but in general I have a glass or two Bourgogne rouge or Passetoutgrain, otherwise treat myself to a Coteaux Champenois rouge. What’s your most embarrassing front-of-house moment? Long time ago, when I was starting in the industry, after about three months working without days off, the focus was lacking, I poured an expensive white wine on top of the water, so I had to open a new bottle. If you could give your younger self advice when starting out as a somm, what would it be? To take notes and document every wine you feel is interesting. When I was younger I could remember everything, as I get older I wish I had documented all the great wines I have tried in the past. Has a wine every given you an epiphany? Which one? Château Lafleur 1982. Until then I had tried great wines but never something like it; I remember the feeling of happiness and confusion. It was so great that I was lost for words. I had not imagined a wine could be that gratifying; so much so that I could not think of anything other than the wine for a few days. Which customer habit annoys you the most? When they refuse help selecting the wine and then they complain about it. We sommeliers get special joy in making the guest happy. Who is your inspiration in the gastronomic world? My grandfather, his bon vivant way of living was only when referring to gastronomy, was the only thing he did not minded to spend money in, “wine is life” he used to say, he took me to restaurants since I was a toddler and I ordered like an adult. What’s your ultimate food and wine pairing? As a regular go to, lamb chops and some nice Rioja, because I grew up with it and I can cook lamb. But recently I tried by mistake one of the best pairings I have ever had: Chef William Drabble’s white truffle ice cream, Port wine reduction and shaved white truffles from Alba, with Roberto Voerzio Barolo Sarmassa 2000, that Roberto brought from his own cellar. Where would your fantasy vineyard be? I am lucky enough I had the chance to buy a very small vineyard where I always wanted, in Toro Spain. This is a great place to escape busy London, where I relax immensely with my wife, taking care of it. And not bad wines come from Toro. If you weren’t a sommelier, what would you be doing? I don’t really know but probably something related to gastronomy. Which wine (grape/style) do you find it impossible to get along with? Natural wines, when the condition of being “natural” is more important than being a good quality wine. There are some very good ones that I enjoy, but some can`t justify their existence by being “natural”. Who is the most memorable customer you’ve ever served? Thankfully I have work in great places where I have had many memorable guests. It was nice to serve Ronaldo (the good one) as I used to have his t-shirt when I was a kid. He is a very relaxed person. What else would you like to achieve in your life? Make my own wine good quality for me to enjoy on any occasion, even a “treat myself” kind of moment. What would be your desert Island wine? Domaine du Comte Liger-Belair, Nuits-Saint-Georges Blanc Premier Cru, Clos des Grandes Vignes 2014. Be happy, life is short.